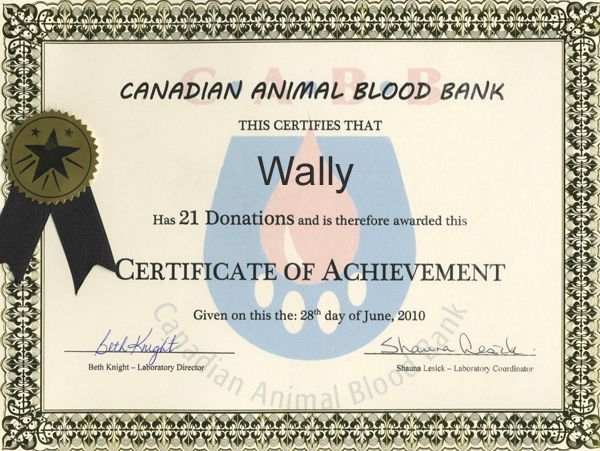 Since Wally was a year old, he has been making regular blood donations to the Canadian Animal Blood Bank at NAIT. 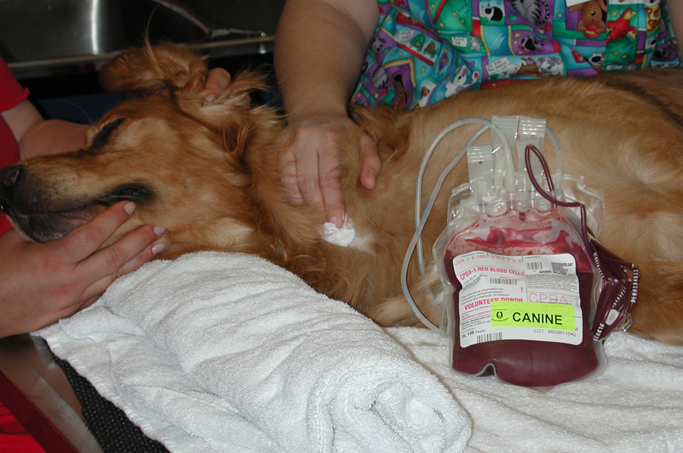 The blood is used to provide transfusions for sick and injured dogs across Canada. We were given this certificate of achievement to recognize his 21 previous donations. He has an appointment to give blood this afternoon so that will increase the official total to 22 donations. You’re the best Wally!! Love ya!! Wally you are one very special and terrific guy regardless of how anyone looks at it!!! Congratulations. Congratulations Wally! That is a great accomplishment! I would like to check that out for my dogs.